A few of my favorite (budget minded) things! A few of my favorite things…on a budget! Well, Oprah does it and we all have a few favorites don’t we? I thought I’d put some of mine out here and ask you if you’d give me some of yours. It’s stocking stuffing time so I’m on the lookout for fun little inexpensive things! 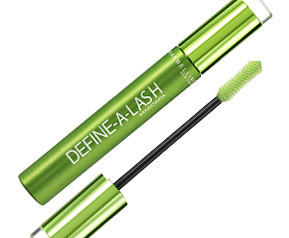 This mascara is the best drug-store priced mascara ever! I’ve used all the good ones and this one, for the money is great ! I always carry a nail file in my purse and I hate it when the file scratches my wallet…this eliminates the problem! My lips stay chapped! One year I used this menthol chap stick and I swear my lips got worse! I keep one of these tucked here and there all around the house and car! I love it! Baby Sister introduced me to these…they smell as great as scented candles but a little stronger. I love to keep one of these on all day when I’m home! (right now I’m burning the one that smells like a Christmas tree! )I will not include the pots in the stockings but maybe the little tarts!? Okay, it’s winter and I’m a sissy Southerner! Even with flannel sheets, I can’t get my tootsies warm at night, so I keep several pairs of these in my nightstand and slip one on right before I get into bed! Yummy soft and snugly warm! I’m sure you use this too. But this is simply one weapon in my hair arsenal that I can’t do without! 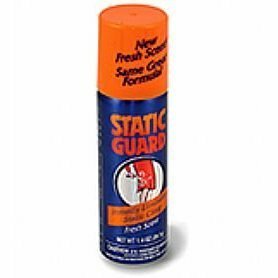 Simply spray a little on the brush or comb and zap the static! The travel size is particularly exciting! « Let’s Do Dessert Recipes and a bonus! Robin, you never cease to leave me in stitches! Could you blow a little air up this way? We are supposed to get 7 more inches of the white stuff! When santa filled stockings at mom’s house all of these things would have been in my stocking, and I loved it! And when that grandbaby gets here you’ll have a whole new category for santa to have fun shopping for! Santa only has little boys to buy for, but for the big boys he used to get nerf disc shooters (toys) and the boys would have a grand time! Stocking stuffers are my favorite! I go WAY overboard. If they are fishermen it will be as easy as pie. Lures, lures, lures, and other little things you find in the sporting goods dept. If you don’t want to ask what lures to buy, tell me what they fish for and I’ll as our resident fisherman for help. If they like to wear stocking hats, you can get their favorite drink (Mt. Dew, Budweiser, whatever) on a stocking hat, and shove that in there. My husband is weirdly proud of his Mt. Dew. I got him one and he will love it. ??? I don’t get it, but he will. For a guy who likes his style, Ross or T.J. Maxx will have a nice looking stocking hat. Go somewhere like Fred’s for candy that is a flash from the past. That is always fun. Also, the Dollar General has .10 candies. They sell candy cigarettes and individual packets of Fun Dip. Childhood candy that hasn’t been seen in a while is fun. Crikey. Now I have to write it again. I told you how much I love stocking stuffers and overdo it often. From Fred’s: Candy that is a blast from the past. A mit for washing the car (why do men love these?) or other novelty items from the automotive dept., like those special shammies for wiping the inside of a foggy window. I could go on all day. I really do love finding stocking stuffers! Boy you and Anita had great ideas. I am writing them all down and going to the store! Anita those ideas are the bomb! I’m totally using them. I love the picture of a childhood pet and wives! Keychain flashlights! Yea! And men do so love the car washing thingys! I bought more stocking stuff for the girls today and now I’ll have a great list to go on for the boys!!! I have some experience with stocking stuffers for boys. For the teenage boys I usually get them a new belt, a new wallet, they love beef jerkey, new razor, shaving cream, cd’s, socks (my kids eat socks, I am sure of it) and their favorite candy, wal-mart has the boxes of candy like you get at the movie and I usually get them a couple of boxes of those. For my husband, he works out of town a lot and I buy him things that he can use to travel with. Because of airline restrictions liquids and gels have to be 2 oz or less so I put in travel size hair gel, shampoo and toothpaste. I also put in his favorite after shave, hershey’s kisses and his favorite candy. For my little one, he is easy, I put in pencils, erasers, yo-yo’s, slinky’s, any kind of ball. His favorite candy. And don’t forget candy canes, if they don’t like peppermint you can buy the flavored kind. These tips are great. I was stumped with my 17-year-old son’s stocking. Rob, don’t you have a cuticle conditioner you love? No holding out on us….